Theme: WOOD, a material among the most fascinating in nature, that can be applied to an enormous variety of uses and in several field of arts, such as architecture, interior and decorative design. 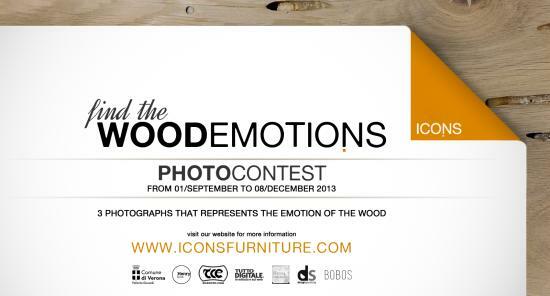 The idea is to underline two essential aspects of wood, that are: Emotions and Motions. The first quality refers to the emotions that it pass on and the latter to the movements that such lively material concurs to create. Each participant can submit a maximum of 3 images. Submission of digital photographs by email. Image requirements: JPG format; a 1500 pixel side length, 300 dpi; max file size of 5 MB; no logo, author’s signature, and frame.